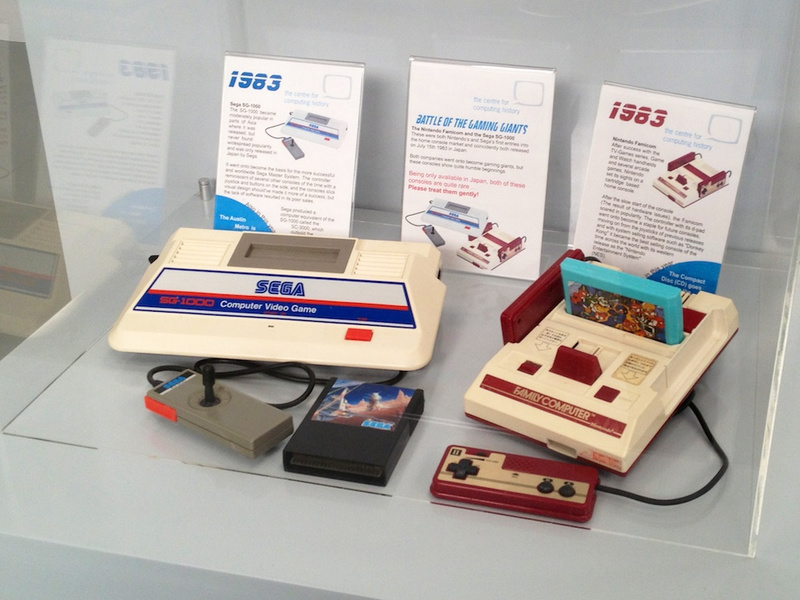 One of Cambridge’s best kept secrets is The Centre for Computing History, a museum dedicated to preserving the history of home computers and video game consoles from all eras. Located on a quiet industrial estate only a few miles outside of the historic city centre in East Anglia, England, the museum is not one you would stumble across while sight-seeing – but it is certainly worth going out of your way to find if you ever find yourself in the area. Unlike traditional museums which operate on a “look but don’t touch” basis, here most of the computers and consoles are powered up and ready for you to play to your heart’s content. You can take a trip down memory lane and relive the UK home computer boom in the 80s and tinker with a ZX Spectrum, Amstrad, Commodore 64 and the boffin’s favourite Acorn Electron. In addition to this there are some large industrial computers which date back to the '60s and '70s, along with a variety of pocket calculators and other devices which might spark a wave of nostalgia. Of course you are most interested in the consoles right? Visitors are well served here; you can get hands on with all the 8-bit and 16-bit classics such as the NES, Master System, Turbografx-16, Mega Drive and SNES. 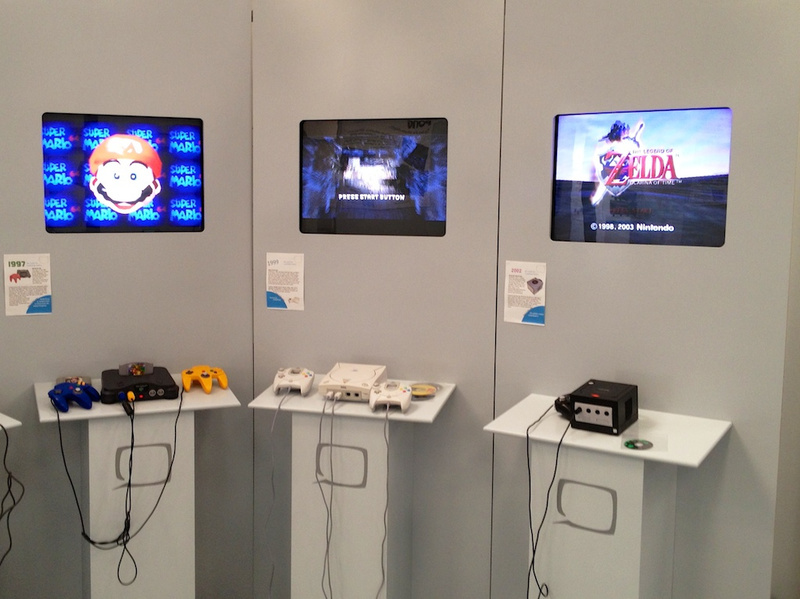 There is also a PlayStation, N64, Dreamcast and a GameCube set up for you to enjoy. First of all, thanks for speaking to us about the museum. Can you tell us how and when this all came about? Are you something of a collector yourself? Well the museum grew out of the owners, Jason Fitzpatrick’s, own collection. He had accumulated so many machines and artefacts over the years that it was getting a bit too much for a personal collection. I think in the end he had to make the decision of either getting rid of them or doing something good with all of the machines. Jason decided to do something with it all, and in late 2006 ‘The Centre for Computing History’ was born as an educational charity. The focus on the personal computer comes from his experience growing up during the 80’s, with things like the BBC’s Computer Literacy program coming into schools and teaching kids about the future of computers and programming with a BBC Micro. It’s that time where the world was changed in a short few years with, for all intents and purposes, something that looks like a small rectangle of plastic and silicon. We went from an Altair 8800 to an Amiga in just 10 years, and it hasn’t stopped since. That’s the story we want to tell with the museum. However personally I am also a collector, on a way smaller scale. I think I have every western Nintendo console and handheld release, but I’m willing to bet I’m missing a few hardware revisions. Scattered in there are some Sega, Sony and Commodore. It was actually awe-inspiring to go into the museum's archives for the first time as a small time collector, and realise just how much is out there that you just don’t know about. Your games collection doesn’t look quite as good next to 130 boxes of just software. Why was the move to Cambridge city centre so important for the museum? Cambridge has a rich history in computing spanning right back to the 1800’s with Charles Babbage and his ideas of a programmable mathematical computer. Then throughout the 20th Century, Cambridge University Alumni such as Alan Turing, Sir Maurice Wilkes and many more who helped us immeasurably get to where we are today. However Cambridge didn’t just help the founding of computing as a whole, but the companies formed here ended up being one of the main driving force into the personal computing era of the 80’s. Sinclair and Acorn, while not exactly household names anymore, managed to put computers into so many homes. Sinclairs focus on the mass market and affordable with the ZX80, ZX81 and Spectrum computers and Acorn’s BBC Micro in the education spotlight, for a time Cambridge dominated the home personal computer market. And that legacy lives on today, with the ARM Processor architecture that was created by Acorn directly after the BBC Micro powering at least 95% of modern smartphones today. Sinclair's modern operations however are far more questionable. Aside from the multitude of home computer exhibits which you have on display, what can Nintendo (and Sega) fans expect to see when visiting your museum? 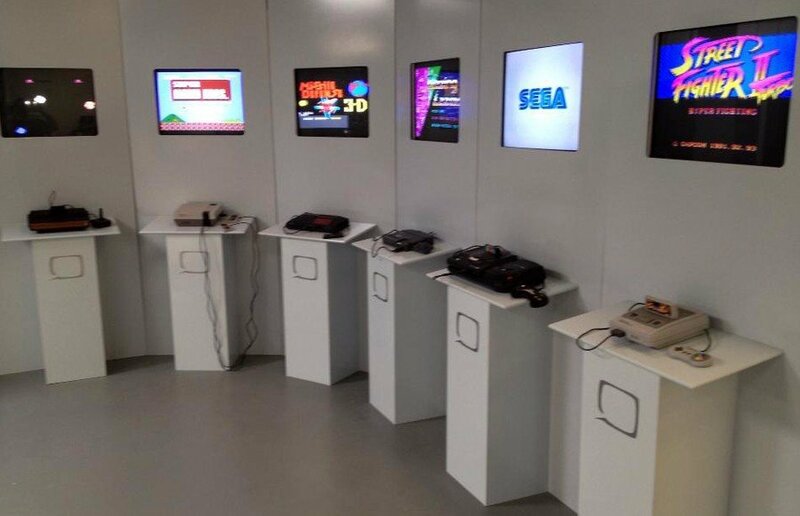 On display we have an original Famicom, a Sega SG-1000 Mk 1 and 2 and a bunch of other Nintendo and Sega games consoles which are hooked up to TV’s and playable. We also have quite a bit of software which is not actually on display, but if the public nicely ask us we’ll dig it out of the archives if people want to give a particular game a try. We enjoy getting it out and playing it as much as the public do. Yamauchi’s impeccable eye for what would sell and Miyamoto's desire to make video games more than just single board arcade game made gaming into the rich and diverse industry it is today. What is your favourite bit of hardware from Nintendo’s history and why? I think if you had to choose any specific piece of hardware, it would be the red Donkey Kong arcade cabinet. I love the whole story of Nintendo in the early 80’s, and how they had tried to break into the western market with Radar Scope and failed. 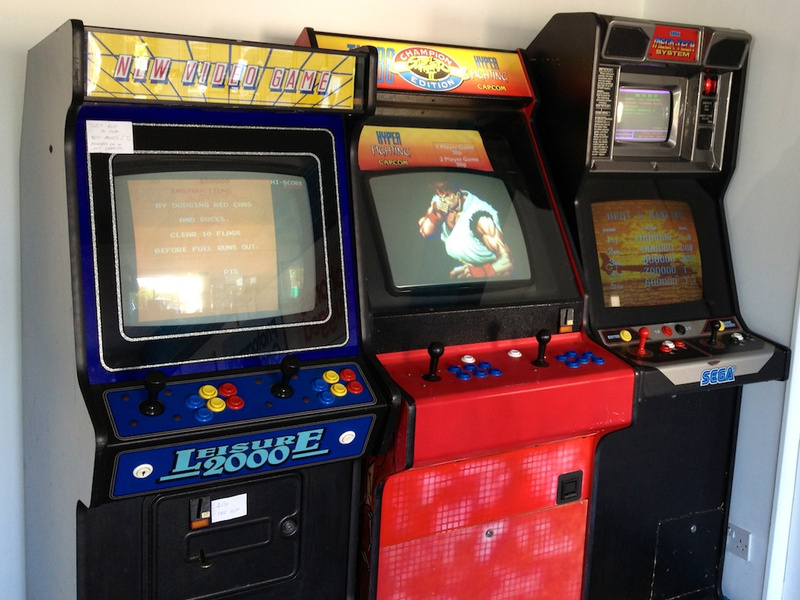 They hadn’t anticipated failure, and ended up with 2000 Radar Scope arcade machines sat in a warehouse unsold. So, Hiroshi Yamauchi the Nintendo President at the time asked Shigeru Miyamoto to design a game that was different from any others found in a typical arcade at the time. Featuring 4 full boards instead of one repeated, and a fluid platforming design never seen before. Donkey Kong was a genius piece of work. It’s also the working within limits as well, they had to use the same hardware as the Radar Scope machine to reduce costs. Then once the game was done, it was shipped to America. Then Nintendo America, consisting of just Minoru Arawaka, his wife, the 2 delivery drivers and 2 others converted all 2000 of the Radar Scope machines by hand into the red Donkey Kong cabinets we know today. After a few more runs of the cabinet, the colour of it was changed to its more common pale blue. It had earned Nintendo $180 Million in just a year, and showed them that video games was the business they needed to be in. The whole idea of just a few people making this arcade cabinet, even by hand, is unheard of in todays world of hundreds of developers working on a single game. But from the home console side, it has to be the Famicom/NES for similar reasons. Yamauchi’s impeccable eye for what would sell and Miyamoto's desire to make video games more than just single board arcade game made gaming into the rich and diverse industry it is today. What would gaming have been like if there was no Nintendo? I think its the circumstances and the sheer luck of all the pieces of brilliance coming together which makes the early Nintendo so fascinating. It’s a story which should be told more. 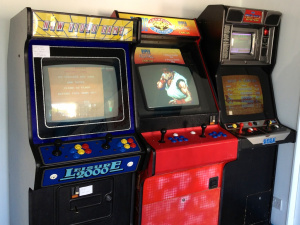 Fancy a game of Street Fighter II? What plans are there to develop the museum further in the future? We want to create and polish our exhibits first and foremost. Jason worked hard and to a short deadline to get the museum open by the end of July. So while the museum isn’t as complete as we would like, it’s going to be constantly evolving as we get more time to create displays and get machines out and working. With this evolving we hope that people can come more regularly and still have a unique experience, all while learning more and more about this amazing industry. Can you tell us a bit about the support you have had from companies in the IT industry? We’ve had some great support from companies, with sponsorships from people like Google, Redgate, ARM, Samsung, and more recently RealVNC. Without this support we simply wouldn’t have gotten to where we are today and we are thankful to them all. But for us we always want to improve and make the museum as good as it could possibly be. As such we’re always looking for any help, big or small, that can help us along our journey. This industry has changed everything, and it still does today. There’s something exciting about a museum where history is still being made every single day. Can you outline why you feel preserving this computer history is important, particularly with the potential of an all-digital future? As an industry, computers moved so quickly and the impact has been so great that we forgot to tell the story about how it all happened. There’s a whole generation growing up now who have no idea how their laptop or iPad came into being. While you can tell kids about the history of the computing industry, it’s just as important to have everyone experience these machines which are barely 30 years old for themselves. This industry has changed everything, and it still does today. There’s something exciting about a museum where history is still being made every single day. Plus these original machines aren’t going to be here forever, at some point every machine will break and become unusable. Every tape, floppy disk and hard drive will degrade to the point of unreadability. So for this short amount of time we have left, we want people to experience it themselves in person. This is why we champion computers and games consoles which are usable in our displays. Almost all of our machines here the public can use and that’s exactly what we want them to do. In the all-digital future, we will ideally (and probably) have Emulators for every single computer and games console. While that’s great for a taste of the past, to really experience it you need to go hands on. Games aren’t quite the same when you need to sit there for 5 minutes while it loads off a tape. However preserving things for the future is important to, and we do want to take digital copies of software, magazines, manuals and more. There is however not enough time in the day or the resources to do it yet. 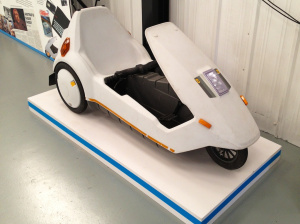 Are there aspects of collating a technology museum that are uniquely challenging, in contrast to what we’d consider “standard” museum exhibitions? I imagine something that a “standard” museum exhibition wouldn’t have to do is plug in a recently donated item to make sure that it doesn’t blow up. But aside from the testing and reliability of some machines being questionable, its hard choosing what goes on display. Computers and video games have touched so many lives, it feels bizarre to have to choose just one or two consoles to with just one game each to represent an entire part of someones life. And we understand that everyone has had a different experience. We often get people coming in wondering why we don’t have Link to the Past on our SNES, or Manic Miner running on our Spectrum. But that’s what's great too, we can have a conversation about peoples experiences and every single one is different. Can you tell us about some of your favourite hardware donations that the museum has received? We’ve had so many donations to the museum that its hard to pick some of the best. I think there’s something quite incredible about getting unopen or unmade kit computers like the Sinclair ZX81 we have which is unmade. 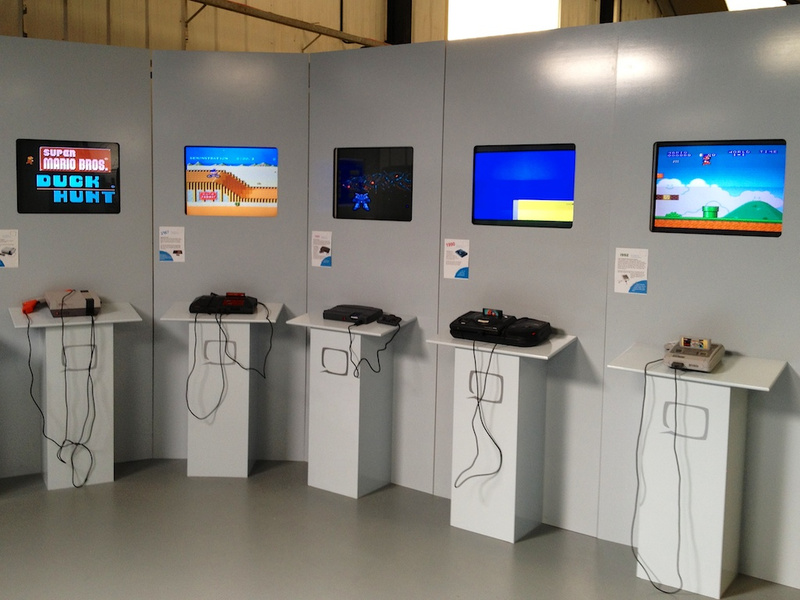 In terms of gaming though, my favourite has to be the Sega Menacer for the Mega Drive and the Aura Interactor. The Interactor is basically a backpack which turns low frequency audio into thump on your back. There’s nothing quite like using it with the Menacer, having your internal organs rumbled and shaken to pieces as you play the arcade Terminator 2 game. It’s terrible, and it does physically hurt but something about it just makes me love it. If anyone wants to donate anything or volunteer their time, how can they get in touch? If you’re local to the Cambridge area, the museum is open Wednesday-Sunday from 10am to 5pm. Whether you want to donate or volunteer, just drop by and have a chat with us. If you’re further afield, you can send us an email at [email protected] and we’ll sort something out. The museum is certainly worth a visit if you ever find yourself in the Cambridge area, while it’s not a massive venue you could certainly entertain yourself here for a few hours. Why not take a trip down memory lane or educate your kids about the dark old days before the touchy feely iPad made everything so darn accessible? You can find out more about the museum from its website, or by getting social on Twitter or Facebook. If I'm ever in the area I think I'll need to give this place a visit. Volunteer my time...SWEET ZOMBIE LINK, if only i lived in Cambridge. Trip for me next weekend I think. That's pretty sweet. Would love to visit one day! Hah. 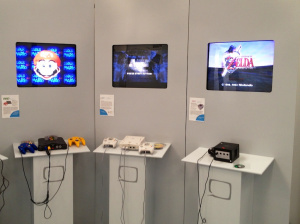 I have soooo many older consoles and would love to do something like this at my house, just no room. At least I organized and cleaned them all up a couple of months back! If I ever go overseas, I know my first stop! What a great place to visit! I wish I was going to England in the near, near future. I really wish the US had cool places like this instead of the SPAM museum, The Trash Museum and the Vent Haven Ventriloquist Museum. What a bore. I wish Id known about this place when I went to England last summer! Sadly, I can't afford a plane ticket across the pond, or I would go. I wonder if they'll let you bring your own game carts inside? Pretty cool. The local museum where I live has been running an 80s arcade exhibit all summer with something like 100 machines (but only about a dozen are playable). There is something to be said about how popular retro is nowadays.